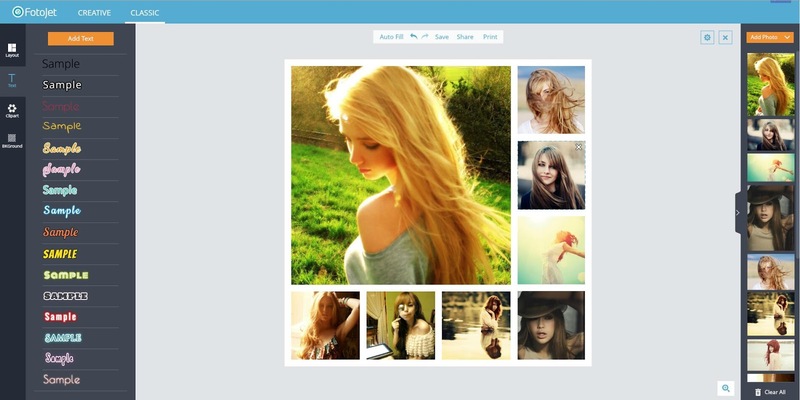 FotoJet: Free Tool for All Designs of Photo Combination - Be Glossy In and Out! Do you want to combine your rough life photos into awesome photo designs that deserve to be persevered? 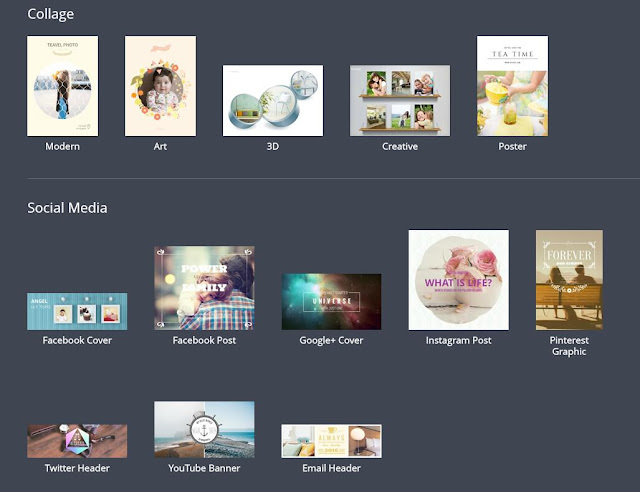 As one of the best photo editing and collecting tools, FotoJet will help you create marvelous collages, photo cards, social media arts, posters and other photo designs with your personal photos easily with the hundreds of preset templates for different occasions in different types. What I favor most is that it’s free! Let’s see the various types of templates. There are more than 700 of template designs which are divided into 4 categories: Collage, Social media, Mics and Photo card. Under the Collage part, you can see 5 style collage templates - Modern, Art, 3D, Creative, Poster - for you to choose from while you can use the templates for Facebook Cover, Facebook Post, Google+ Cover, Instagram Post, Pinterest Graphic, Twitter Header, YouTube Banner and Email Header under the Social Media section. You may don’t know what these Misc templates for. Checking these templates you may easily find that they are just for Comic, Fun Photo, fake Magazine cover and Frame photo designs. Photo Card maybe the most common designs for photos. I will not say more for this section. In addition to the numerous templates in FotoJet, it is built in with many delicate clipart and beautiful background pattern images. To make it more convenient for users from all over the world, FotoJet just supports 8 languages, English, French, German, Spanish, Portuguese, Japanese, Simplified Chinese and Traditional Chinese. · Creative mode and Classic mode. 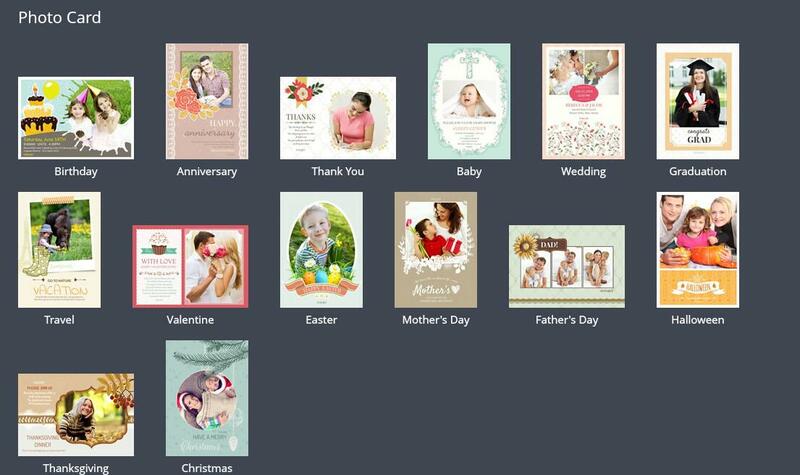 · Wide choices of templates (Creative mode) and layouts (Classic mode) and abundant art resources. · Manually customize your designs. · Edit text and adjust the font, color, size, and alignment at will. · Apply Outline and Glow effects to text. · Set collage background with solid color fill, 20+ preset patterns or with your own image. · Freely move, resize, rotate, and duplicate any object. · Convenient Save and Share options.